Wooly Block Adventure -- In The Garden. Love stitching with wool, our wooly block kit is available now. 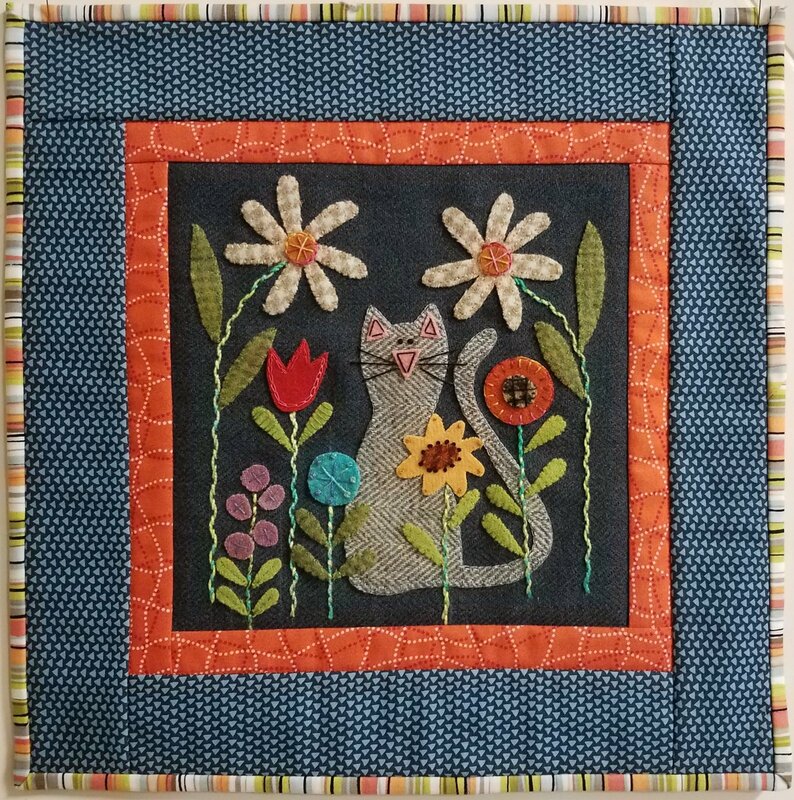 The theme "In The Garden " continues with our Kitty theme and has been captured wonderfully by Cheryl Gunn of Waltzing with Bears.